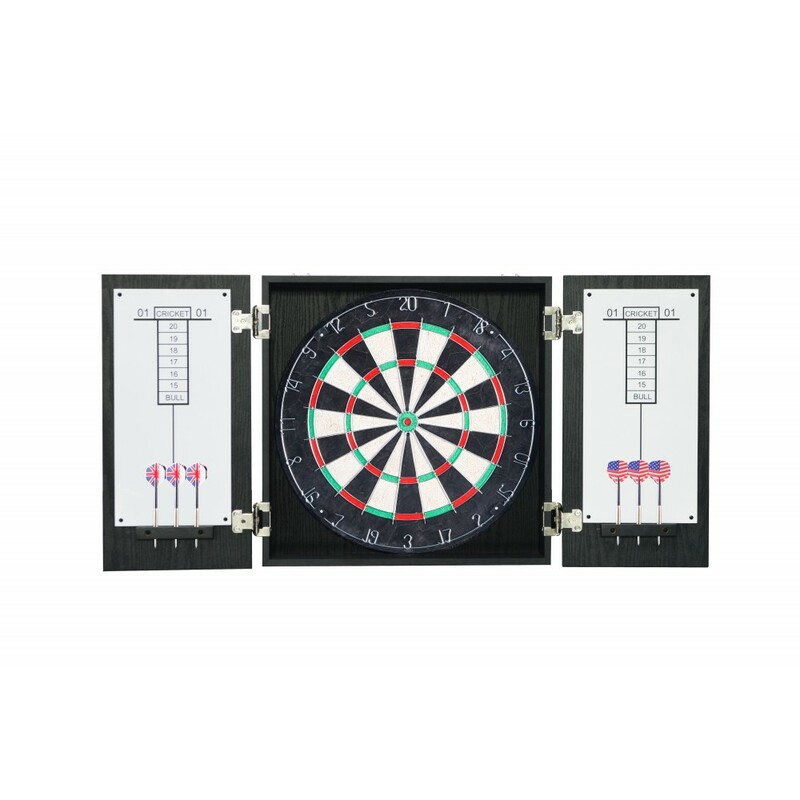 The Winchester dartboard and cabinet set includes everything you need to play a quality game of steel tip darts. 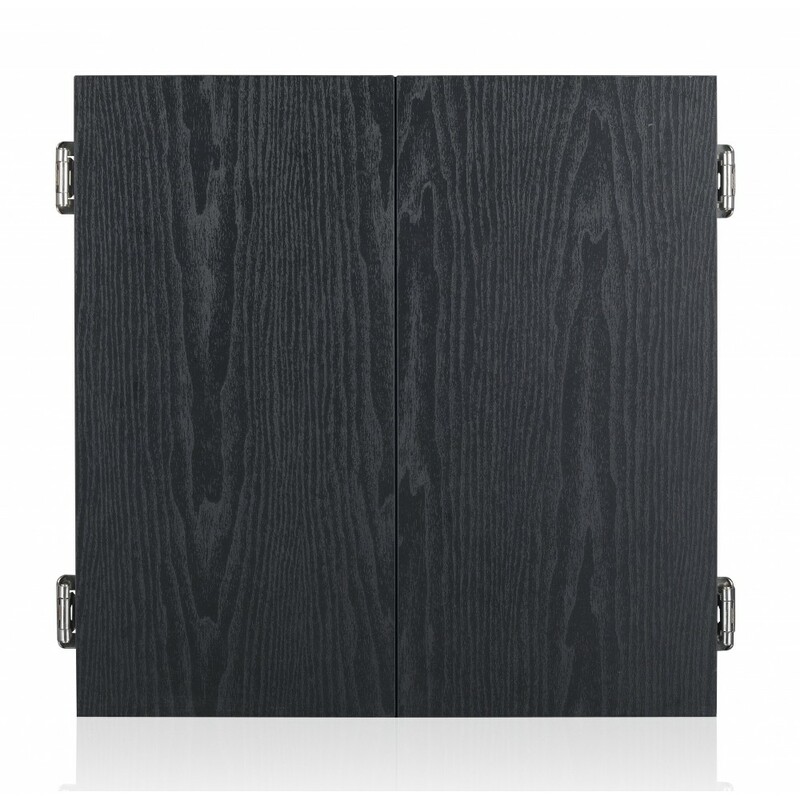 This set features a CARB certified MDF cabinet covered in a durable black melamine laminate that is resistant to scratching, cracking and light impact. 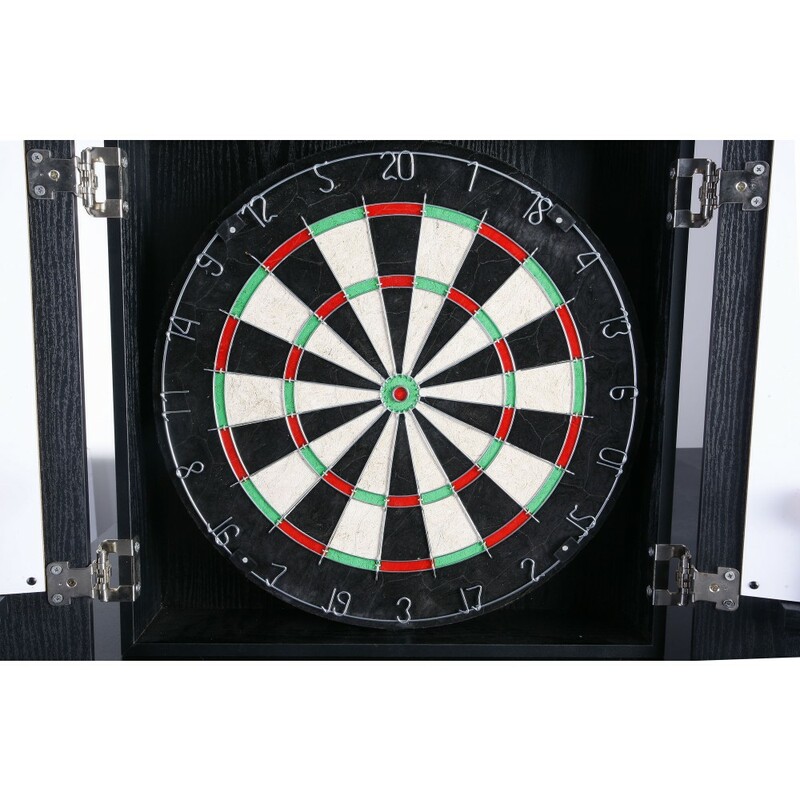 The handsomely finished cabinet stores and protects your dartboard while protecting your back wall from stray darts during games. 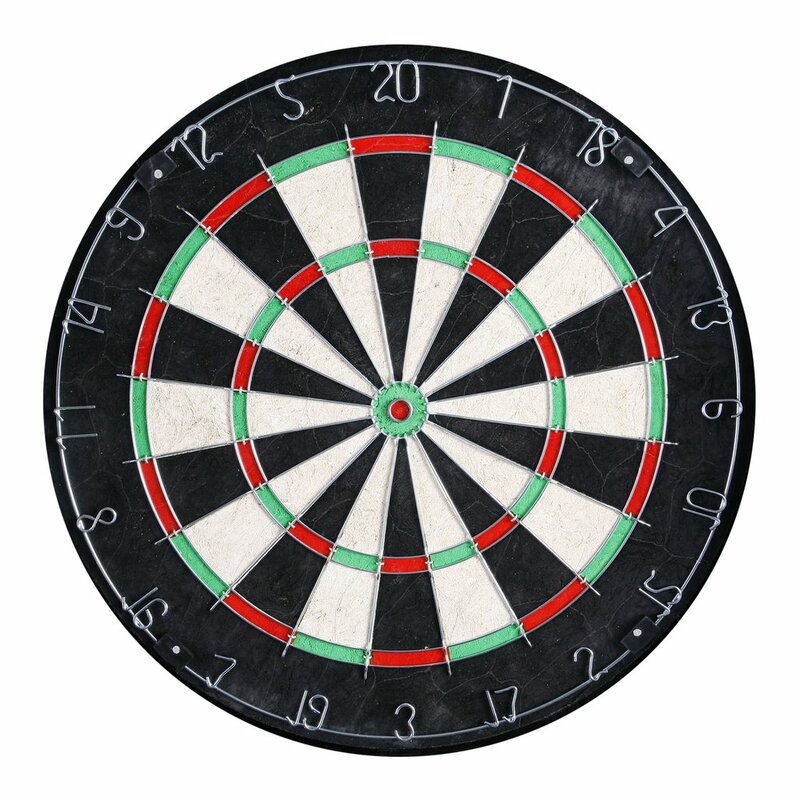 The interior cabinet doors feature two pub style dry erase scoreboards for keeping score during games like cricket and 01. 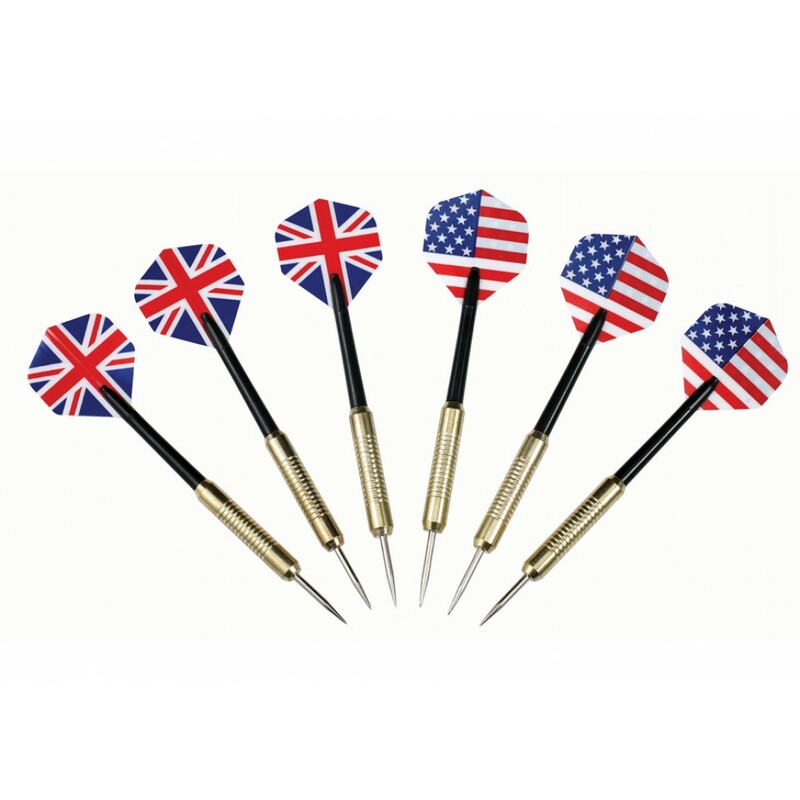 The set includes six steel tipped darts and an 18-in regulation sisal fiber self-healing dartboard with a removable number ring for extended board life. 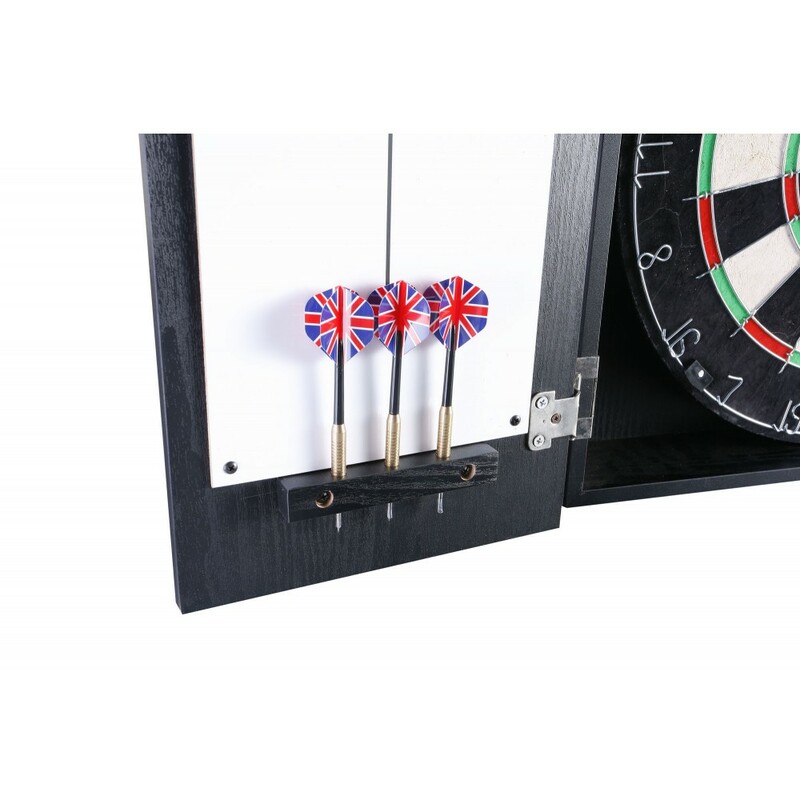 The Winchester is certain to add another dimension of fun and competition to your game room! 180-day limited warranty.